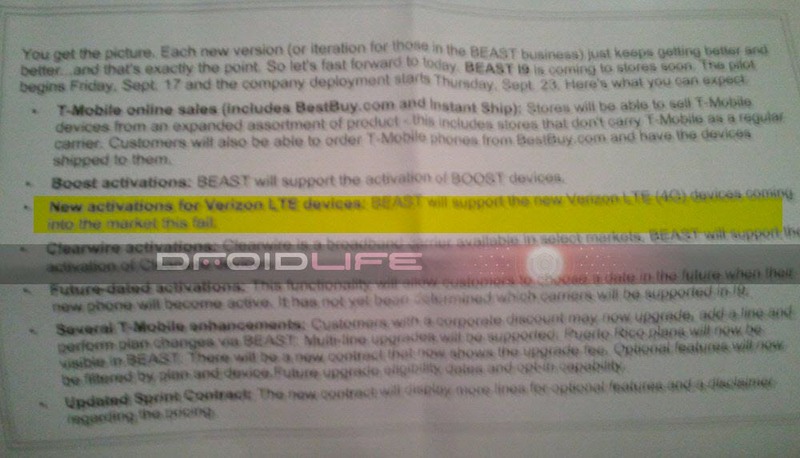 It looks like Best Buy has been handed some information regarding the release of LTE (4G) devices from Verizon. In fact, they fully expect some to be available “this fall” and have already updated BEAST, their internal activation system, to accommodate these mysterious LTE phones. While no specific devices are listed, this is one of the first times we’ve actually heard “devices” mentioned rather than the service which Verizon has said is coming to 30 NFL cities by the end of the year. Struggling with Your New DROID? Head to Florida for $69 Adult Education Classes!